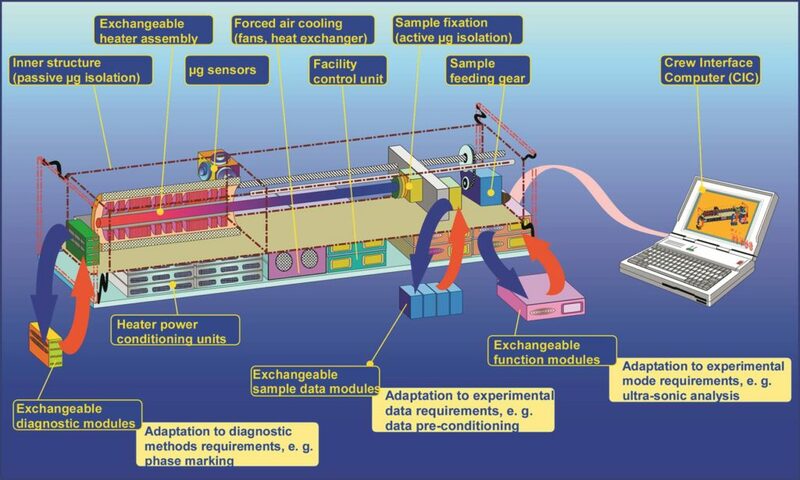 The facility is sub-divided into an experiment and electronic modules. The electronic module is accommodated in the board rack and attached to the furnace module. 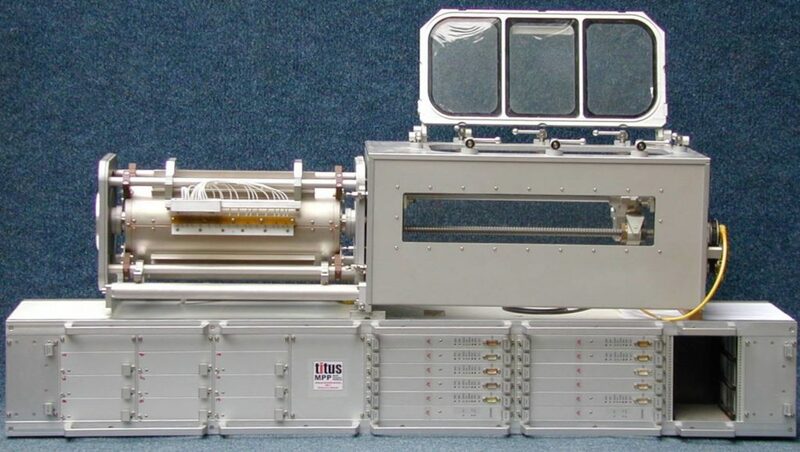 The Advanced TITUS was developed for the International Space Station ISS. Aerostatic damping system to reduce the board effects (vibrations, micro-accelerations, etc.). 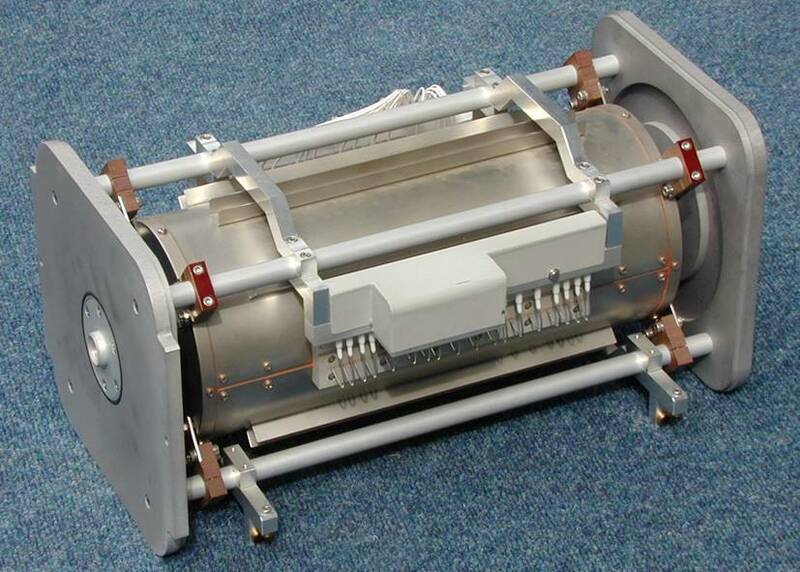 DTA probe contains four containers for either test or reference materials and is used for study of phase transitions. 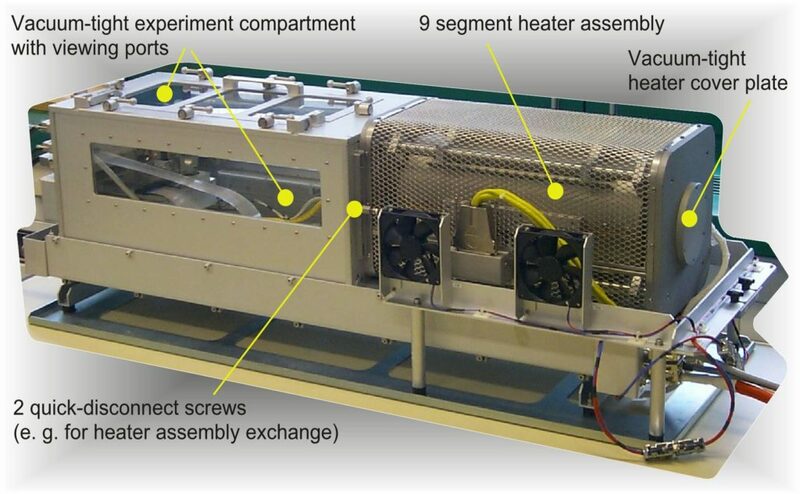 The heater assembly includes 9 symmetrically arranged segments: 2 wide segments with 3 narrow ones in between and 2 narrow ones at each end – as shown above. Each heater segment is individually temperature controlled – two thermocouples per segment are provided for measurement, control, and safety provisions. 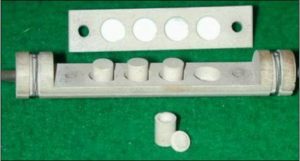 A sample feeding drive is provided for both sample positioning and feeding. The feeding velocity covers the range from 0.01 to 20.8 mm/h, an additional fast positioning gear shall provide velocities of 2, 40 and 800 mm/min (feeding length is 480 mm).